Battle Brush Studios: The Great Wargaming Survey 2017 Edition! 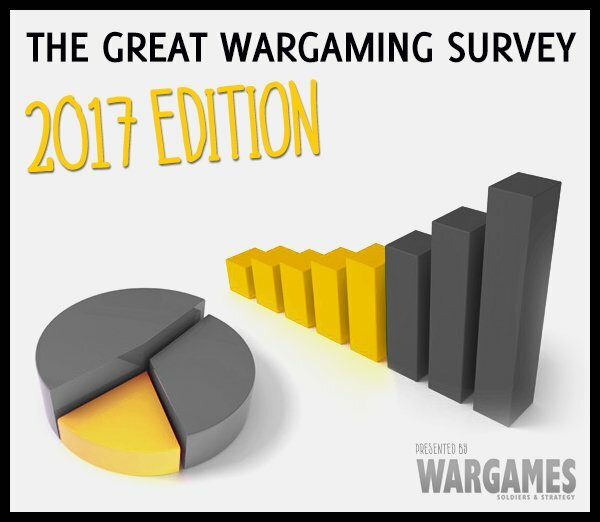 It's that time of the year again, the Great Wargaming Survey 2017 is up for everyone to participate! For years the GWS (to my knowledge) is the biggest, unbiased (as far as that's possible) and most representative (that I've come across) overview of the state of wargaming world-wide. As every year the idea is to get as many people to contribute as possible, because naturally the more people participate, the more complete a picture we get. And that's the goal of the whole thing of course. You can see some of the results of prior GWSs here. Interesting stuff. So, no matter what part of the wide and wonderful world of miniature and wargaming you stem from, please take two minutes, answer the questions, and tell your friends. In the end you'll get a GBP 5.00 voucher at Karawansaray Publishing and the chance to win one of several neat prizes provided by Warlord Games, Peter Pig, Karawansaray Publishing and others.